LOS ANGELOS, Ca - Each year, 500,000 men will get a vasectomy to eliminate their chances of having children. But about five-percent of them will change their minds. Now, there's a new procedure to reverse vasectomies and give men another chance at fatherhood. At age 22, Charles Mitchell decided he didn't want to have children, so he had a vasectomy. "I figured the right thing to do was man up and get things snipped," says Mitchell. But 10 years later, Charles was in his second marriage and had different priorities. "I began to yearn for a family more" he said. Like many men, Mitchell thought his vasectomy wasn't reversible, but Philip Werthman, MD, MMH, FACS, Male Fertility Expert and Director of the Center for Male Reproductive Medicine and Vasectomy Reversal in Los Angeles, says that's usually not the case. Dr. Werthman says, "People need to know this very important thing, that men can have a second chance after having a vasectomy." To reverse a vasectomy, doctors simply reconnect the tubes from each testicle that were clipped and blocked. However, some men develop a second blockage and require a more extensive procedure. "The doctors would have to make a big cut and they would have to expose all the scrotal contents" Dr. Werthman explained. 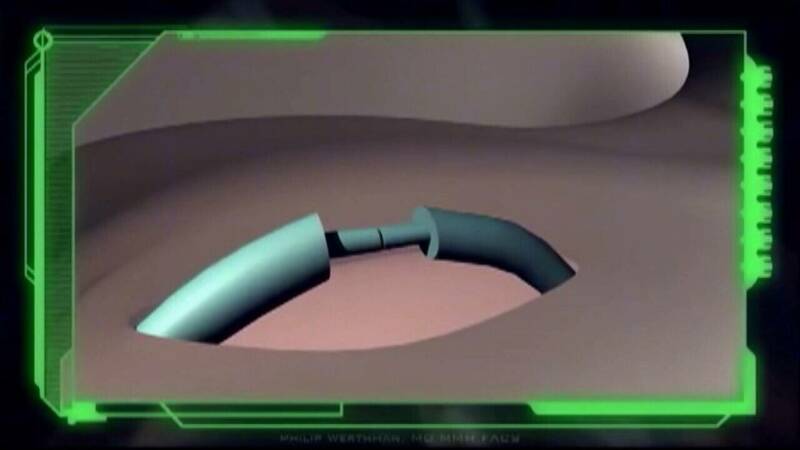 But Dr. Werthman developed a new microsurgical method. Through a very small incision, he bypasses the second blockage without taking any organs out of the body. "What that means is the less dissection, the less mucking around, the quicker the recovery, the fewer the complications" he said. If a man has one blockage, Dr. Werthman says his reversal success rate is 98-percent. If there are two blockages, Dr. Werthman's technique is about 65-percent successful. After having the procedure, Charles has big news. Mitchell exclaimed, "I do have big news. We have twins on the way! So that's really exciting!" Now , he'll get a second chance at being a dad. Dr. Werthman says the operation costs anywhere from eight to 12,000 dollars, which is half as expensive as IVF treatments. Dr. Werthman also says his oldest patient was able to reverse a vasectomy after 56 years. The man was in his 80s and was able to have two children after the reversal procedure. Copyright 2015 by Ivanhoe Broadcast News and News4Jax.com. All rights reserved. This material may not be published, broadcast, rewritten or redistributed.